It’s a long way from Montauk to Atlanta, but the striper fishing can be hot. 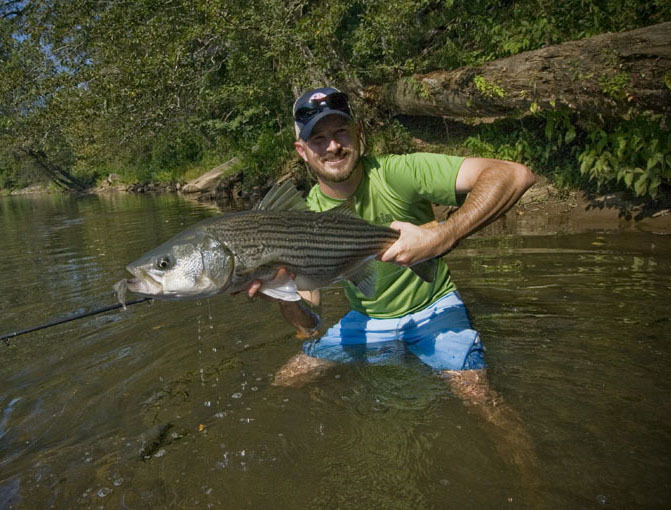 Atlanta is hot in midsummer, so striped bass seek thermal refuge in cool rivers. This 15-pounder probably lives most of its life in West Point Lake, 60 miles south of town, but it was caught smack dab in the middle of Atlanta on the Chattahoochee. The best way to fight these fish is from a canoe, so they can give you a sleigh ride!